Bitcoin Press Release:CoinsForTech – a Bitcoin company that has processed over $600 000 USD of cryptocurrency transactions – has just announced the launch of their new online marketplace and Bitcoin wallet: OneWallet.io. Australian based CoinsForTech has launched a remarkable shopping portal for Bitcoin users just in time for the Christmas holidays. An impressive amount of merchants have registered for the platform with most touting worldwide shipping and ultra-competitive pricing. Over 600 products are already available for purchase, ranging from electronics, fragrances, clothing, make-up, watches, Bitcoin miners and much more. OneWallet is closely tied to CoinsForTech, an electronics store which has processed over $500,000 worth of cryptocurrency orders to 56 countries. The founders quickly realized the power of Bitcoin combined with ecommerce and have built a platform specifically to boost this form of trade. The OneWallet marketplace offers an opportunity for 3rd party sellers to capitalize on the ever-growing Bitcoin economy. It’s free to list goods for sale on the marketplace, with just a 2% fee is payable if the product successfully sells. Merchants can choose to auction their goods or list them at a fixed price. It has never been easier to earn Bitcoin by selling goods or services. Each registered user has a Bitcoin wallet generated for them, though they are not required to use this wallet when buying or selling on the marketplace. The integrated wallet allows for Bitcoin-beginners to sell goods and receive payment with minimal knowledge of the Bitcoin ecosystem. OneWallet aims to provide a relatively hands-off method for beginners to become involved in Bitcoin, as well as an avenue for them to spend it on popular goods and services. Comprehensive buyer protection is provided to all purchases from BusinessVerified merchants. OneWallet will ensure that the BusinessVerified merchant fulfils their end of the deal and refund the customer’s money in full if they do not. With over 500 products listed by BusinessVerified sellers Bitcoiners can shop with confidence on OneWallet. The OneWallet Bitcoin Marketplace is a winner for both buyers and sellers, offering competitive prices, buyer protection and low selling fees. 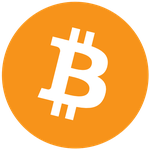 Bitcoin users worldwide can now enjoy conducting their online buying and selling easily in one place.